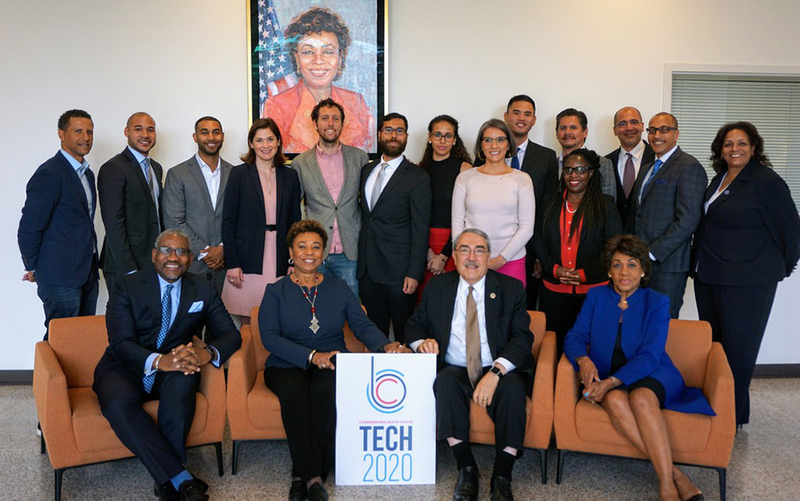 Yesterday, the Congressional Black Caucus (CBC) hosted a live stream panel discussion event to launch CBC TECH 2020, a new initiative aimed at increasing African American representation and inclusion in the tech industry. “When I was sworn in, one of my promises was that we would launch an effort that would evaluate Fortune 500 companies to determine if they are diverse and inclusive. It has appeared to me over the years that they are not. 500 companies are a lot to evaluate at one time, but we will do it. We chose the tech sector to start because it?s one of the fastest sectors in the country and African Americans are a major part of its customer base,” Congressman G.K. Butterfield, Congressional Black Caucus Chair, told TNJ.com. Ben Jealous, partner at Kapor Capital and former NAACP President, moderated the discussion. Butterfield says that one way to close this gap is to start recruiting aggressively in high schools and colleges to make the tech sector appealing to African American kids. News of the initiative comes amid numerous efforts that Black leaders have made in recent years to diversify the Tech space. In December 2014, the Reverend Jesse Jackson, Sr. spoke to 25 companies including Google, Cisco Systems, Microsoft and Pandora about transparency in their hiring practices. In January at Jackson?s Wall Street Economic Summit, Intel CEO Brian M. Krzanich discussed Intel?s pledge of $300 million for the company’s ‘2020 Parity’ commitment, a 5-year budgeted plan for the next generation of aspiring Tech professionals. According to Butterfield, CBC TECH 2020 is also pushing these companies to include more African Americans on their boards and senior management positions. He estimates that Tech companies are hiring thousands every day, but that there ?isn’t a sufficient number of Blacks in the hiring pool.? “We want them to go to HBCUs and recruit students; we want them to give some of their philanthropy money to STEM programs geared towards African American students who just need the programs to give them the boost needed to move forward. It’s about community reinvestment, and that should be easy because these companies make millions of dollars in profits. There’s nothing wrong with making unprecedented profits, but I would hope that there would be some reinvestment,” explains Butterfield. President Obama has also been successful in encouraging Tech companies to tune into the lack of diversity issue. Last year, Apple pledged $100 million towards his ConnectED initiative ?to bring cutting-edge technologies to economically disadvantaged schools.” And there are several other companies that have made similar offerings. But the problem still lies in the hiring. As we work to strengthen this pipeline for the future, there are many qualified African Americans with marketing, engineering, accounting, law, and computer science degrees ready to get to work right now in the technology sector. So, as a first step, we invite you to partner with us to host job fairs in targeted CBC member districts to recruit people where they are. Work with us on legislation to invest in education, job training, and expanding Internet access. Invite us to your companies to meet with your Board of Directors and senior leadership. And, CBC members will hit the road and take our message to Silicon Valley, and beyond, to meet with CEOs and leaders of organizations to engage more partners in this important work. We call on everyone here, and those watching us live, to take the first step by going to the CBC?s new tech webpage and sign up to be a CBC TECH 2020 partner. Join us in this historic opportunity to transform the tech industry, transform our country, and develop solutions that will change the world.